I don’t know about you but growing up in the Capital District in the summertime usually means that almost every weekend is spent in Lake George. Now that the weather is colder and the lake is way too cold to even think about swimming in, Lake George probably isn’t the first place you think of to go to for Winter activities. Just because the beaches are closed and the lake is freezing, don’t write it off. Januaray was the Winter Carnival that starts off with the Polar Plunge but includes Chili Cook-Offs, Helicopter Rides, Snowmobile Racing and more! Though I do enjoy the Winter Carnival, luckily we’re looking at better weather ahead but if you go now, when it’s peaceful and you can really take in the area, you can see other stuff that tends to get overlooked. Shepard Park on top of hosting concerts and events is full of a lot of great little memorials that are easily missed. 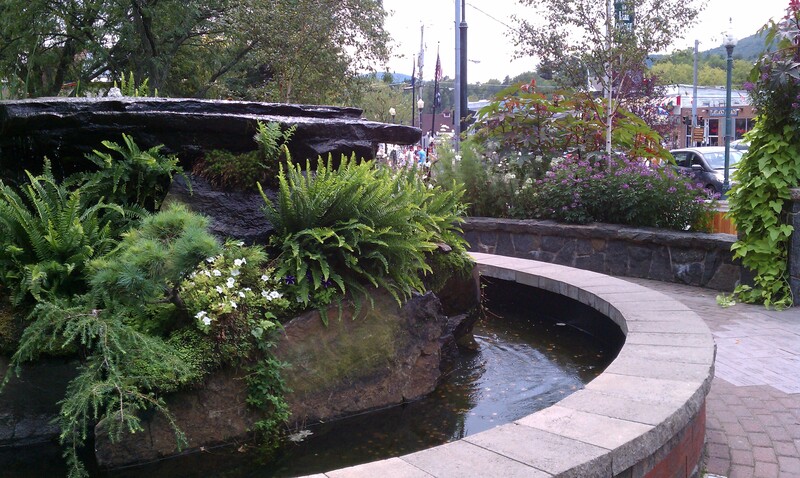 First, there’s the Centennial Fountain built to celebrate the 100 years of the Village of Lake George in 2003. The slabs around the fountain are formed with Adirondack granite and are covered with memorials, goals and businesses that donated money for their message to last in history until at least the next 100 year celebration. Also in the park is a memorial to those we lost in the Ethan Allen Tragedy in 2005. For those of you who aren’t familiar, the Ethan Allen was holding tourists, mostly seniors, from Michigan and Ohio and sadly capsized and sank killing 20, though 27 did survive. This tragedy shook the community as it was so out of the blue with perfect weather conditions and though the tragedy was in October, the water was still a warm temperature. If you have a moment and find yourself in the park or haven’t come across the monument please take a moment to remember those lost. 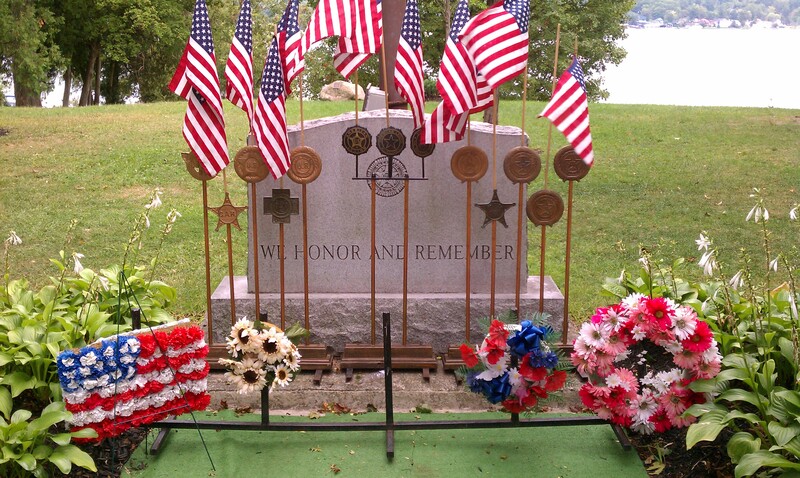 Another memorial found in the park is to all those lost because of their honorable service in the various armed forces. I really enjoy being in Shepard Park. Even if there aren’t any events going on, there are always people in Lake George Village and there are great restaurants and stores in the area to visit. While you find yourself taking in the sights of the Village, don’t forget to take some time to sit and watch the lake. There is honestly no activity more calming than just watching the boats go by on a beautiful day in Lake George. 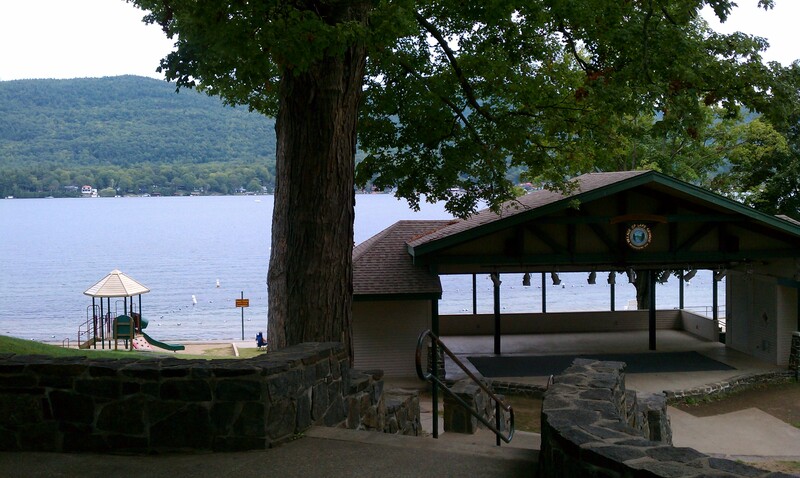 What’s your favorite place/restaurant to visit in Lake George?